On Christmas Eve 50 years ago, astronaut William "Bill" Anders – an air force pilot with connections to Bellingham – shot one of history's most famous photographs as he and two other members of the first Moon Mission watched the planet Earth loom over the horizon of the moon. 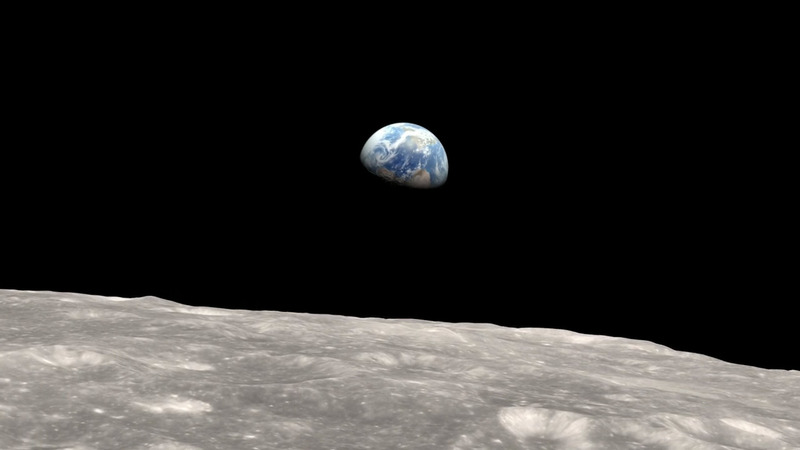 "Earthrise," as the photo would be, is officially NASA image AS08-14-2383. Apollo 8 was Bill Anders's only space flight, but it was the first manned aircraft to leave Earth's low orbit. Bill Anders, who now lives on Orcas Island, was also the replacement pilot for Gemini 11 and pilot of the pilot command module for Apollo 11, the first moon landing. The astronaut William A. Anders, who was the lunar landing pilot for the Apollo 8 mission, is shown in December 1968 during the lunar orbit in the spacecraft. Heritage Flight The museum relocated to the Skagit Regional Airport in 2013, still providing residents with an insight into the history of aviation. In an interview with The Bellingham Herald last week, Greg Anders said his 85-year-old father had been overwhelmed by the global media news coverage of the 50th anniversary of their mission. "I was six years old when it happened," said Greg Anders. "It was not until much later that I realized how important it was." Wilderness photographer Galen Rowell called it "the most influential environmental photo ever taken" when it was featured in "100 Photographers Changing the World" by Life Magazine. Greg Anders, however, said his father considered the Apollo 8 mission to be another battle in the Cold War, when the US ran the Soviet Union to the moon. "As a military man who had spent his time by The interception of Bear Bombers he was proud to have participated in a small victory in the Cold War, "said Greg Anders. It was a photograph that almost did not happen according to the NASA website. The earth rises above the moon's horizon when Apollo 8 completes an orbit of the moon on December 24, 1968. Astronaut William A. Anders, an air force pilot with connections to Bellingham, photographed the photo that has become one of the most memorable images ever. "Anders: Oh my God! Look at the picture over there! There's the earth on Wow, that's pretty. Anders: (laughs) You have a color film, Jim? Give me the paint roller fast, you would. For photo enthusiasts, NASA said the camera was a modified Hasselblad 500EL and a special Ektachrome film developed by Kodak. The setting was at f / 11 125th seconds. Greg Anders said the camera does not even have a conventional viewfinder, so his father had to guess frame the picture. But what was different in the world? a remarkable portrait of his fragile planet.
" What Apollo 8 did was recover in 1968, which was a miserable year, and brought it back, "said Greg Anders. "Apollo 8 50 years ago gave us our earth," he said.